Rua pictured on his fifth birthday. The eight-year-old boy was killed over the weekend. THE mother and her two children slain in their Perth home have been identified by a friend who has described their deaths as "terrible" and revealed their tragic family past. Michelle Petersen, 48, and her daughter Bella, 15, and son, Rua, 8, were killed in their family home on Brixton Crescent in Ellenbrook, on Sunday morning. 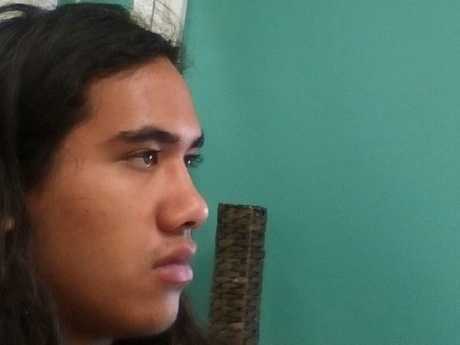 Teancum Vernon Petersen-Crofts, 19, who is understood to be the son of Michelle and brother of the other victims, has been charged with their murders. He appeared before Midland Magistrates Court on Monday to face three murder charges before he was sent to a psychiatric facility. A friend of the family, Toni Ata, posted a live video on social media after the tragedy. "I just found out the most devastating news that my friend and her two babies were killed last night … And I'm so, so devastated," she said through tears. Ms Ata said she found out about the murders through one of Ms Petersen's surviving children, who sent her a text message "asking for a friend's number". "I sent it back with a message saying 'hey gorgeous, here's the number, hope you're well'," Ms Ata said. "To which she replied: 'Not really Aunty. Mum & Rua & Bella were killed this morning'." 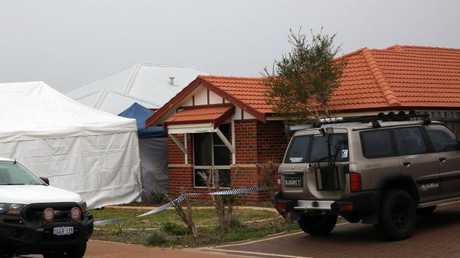 Ms Ata had already heard about a triple murder having taken place in Ellenbrook so the pieces quickly came together. "Chills ran through me and the tears came and came and came and came," she said. "I sit here grieving for the whole family … it's just terrible … such a tragedy." Detectives said the bloody crime scene was the worst they had seen after making the grim discovery at the house, about 30 minutes' drive northeast of the Perth CBD. As they opened the door, officers saw Rua and Ms Petersen dead inside, while his sister Bella was in the backyard suffering from critical injuries. An ambulance was called to the scene but the injured teenager died on the way to Royal Perth Hospital. Police were seen taking a pair of scissors from the home yesterday afternoon. 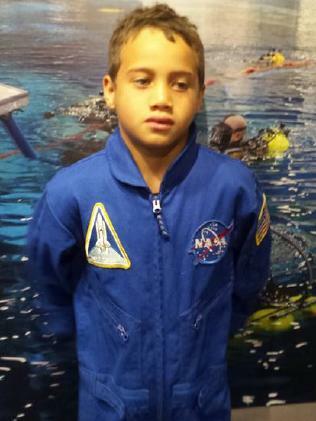 Ms Petersen described her son Rua as her ‘future NASA boy’ in a 2016 Facebook post. Assistant Commissioner Paul Steel told reporters in Perth on Sunday a senior homicide squad investigating officer had said it was "potentially the most horrific crime scene he has ever been called to". "It is a very complex and I would say horrific crime scene," he said. Police were initially called about 1.30am to a convenience store on The Broadway before they went to the home. Ms Ata said Ms Petersen "was doing so awesome" last time she saw her. "Michelle had such a hard life," Ms Ata said. "She lost two babies years ago when they were babies too: sudden infant death syndrome. "And she was an alcoholic for a really long time. "I always thought if I lost two babies, I'd be an alcoholic too. Last time I saw her she had been sober for ages." Rua was the "light of [Ms Petersen's] life", according to Ms Ata. "She just loved him," she said. "It's so sad that he's gone too; [he was] such a cute little boy." In a GoFundMe appeal for contributions to the funerals of the three killed, Ms Ata wrote: "Shelley was my friend, she was kind, happy, loved her kids, all of them unconditionally. At times in her life she was rough, she was flawed, but we all are, no one is perfect and Shell tried". Mr Petersen-Crofts will face Stirling Gardens Magistrates Court next week. The deaths of Ms Petersen, Bella and Rua come just two months after Peter Miles, 61, his 58-year-old wife Cynda, their daughter Katrina, 35, and her four children - daughter Taye, 13, and sons Rylan, 12, Arye, 10, and Kadyn, eight - were found dead at their farm at Osmington, near Margaret River. Last week, retired accountant John Edwards entered his estranged wife's home in Sydney's west Pennant Hills, and shot dead their two children Jack, 15, and Jennifer Edwards, 13. He fled the scene and later took his own life. 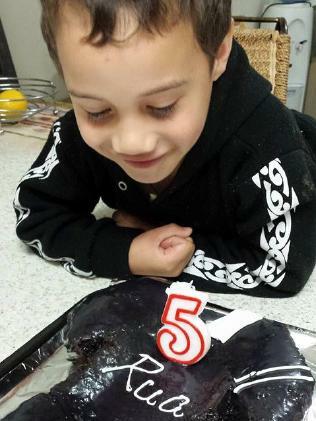 Rua pictured on his fifth birthday in 2015. 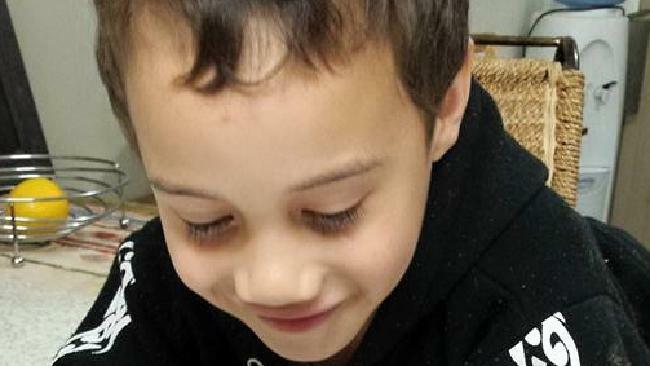 The eight-year-old boy was killed over the weekend. Teancum Vernon Petersen-Crofts has been charged with the murders. 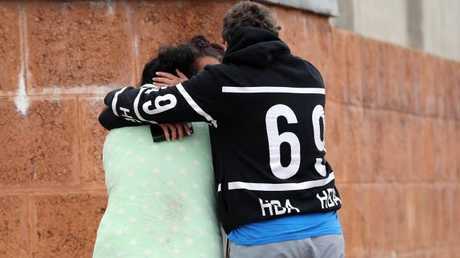 People are consoling each other outside the house where three people were killed in Ellenbrook, Perth, Sunday, July 15, 2018. Picture: AAP/Trevor Collens.